Welcome to the Jeffrey Coombs Memorial Foundation website. The Jeff Coombs Foundation was formed to assist Massachusetts families who are in financial need because of a death, illness or other situation that challenges the family budget. It also provides emotional support to families by funding special outings and fun events. Committed to education, the foundation helps fund enrichment programs in the Abington Schools, and awards scholarships to graduating college-bound seniors and students in private high schools. The foundation was created in response to the incredible outpouring of support Jeff’s family received after he was killed on Flight 11 in the 9/11/01 terrorist attacks. Christie, Jeff’s wife, and their kids, Matthew, Meaghan, and Julia, wanted a way to “pay it forward.” They began raising money to help others in November, 2001. Since then, the Foundation has raised and distributed between $50,000-$90,000 a year in Jeff’s memory. Working closely with patient advocates at many local hospitals and other health agencies, the foundation assists patients and families during their difficult treatments and hospital/hospice stays. It also gets referrals from military organizations seeking help for its families in need. Most grant requests are through word-of-mouth. Applications can be filed right here on line by clicking on Family Grants. The 16th Annual Jeff Coombs Memorial Road Race will be held on September 10, 2017. 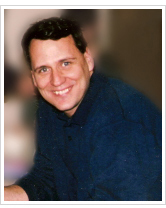 We are a non-profit, 501C-3 organization founded in memory of Jeff Coombs, an Abington father of three who died on September 11, 2001 in the WTC Terrorist Attacks.